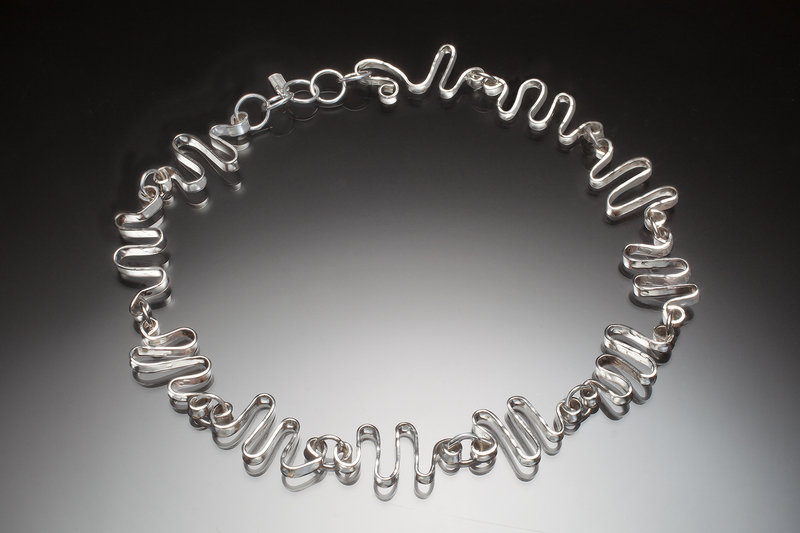 These hammered links of sterling silver remind me of hieroglyphs. 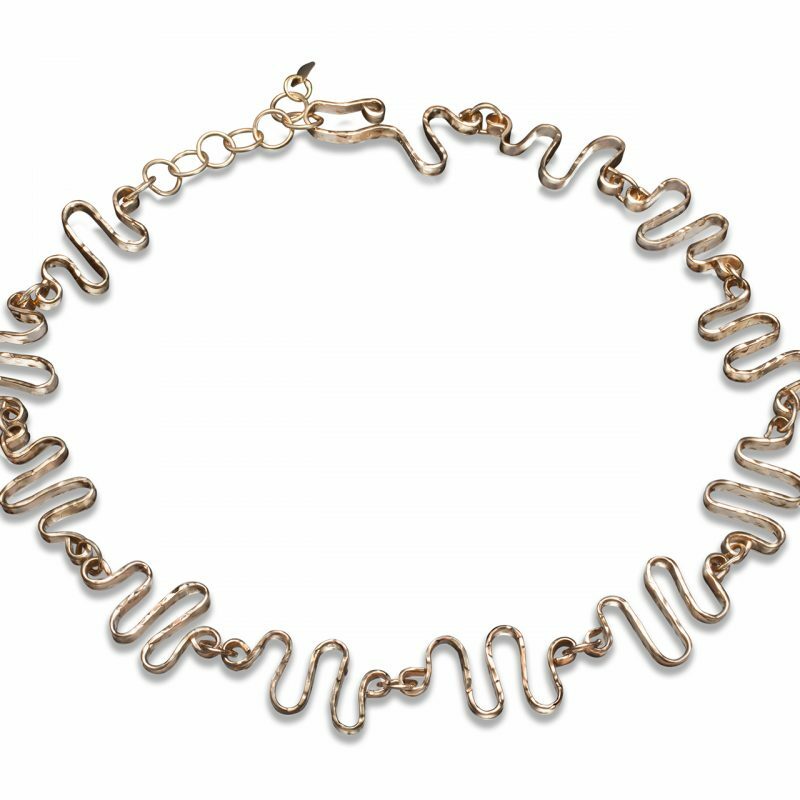 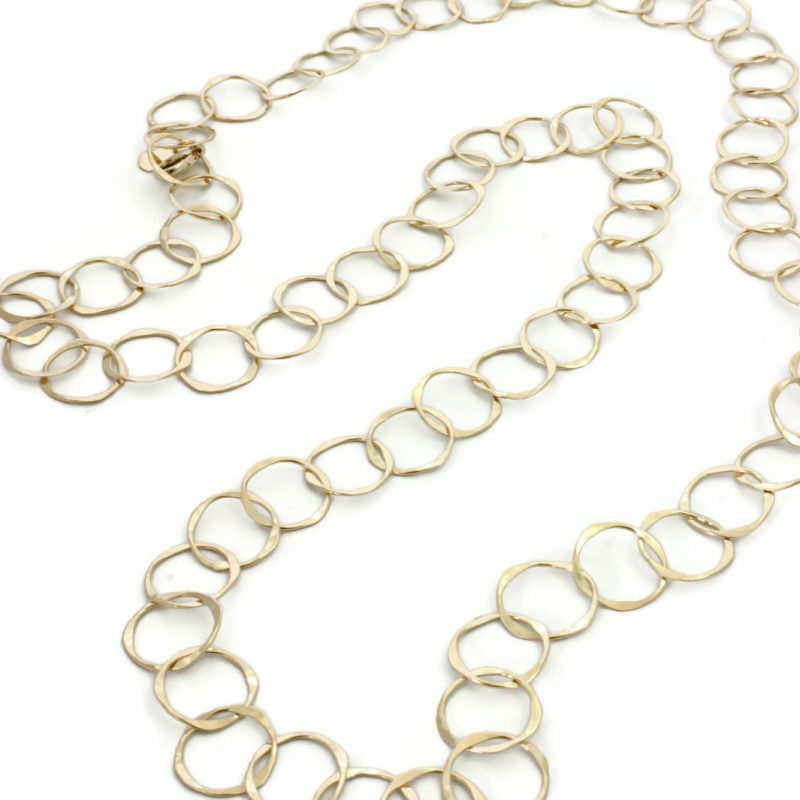 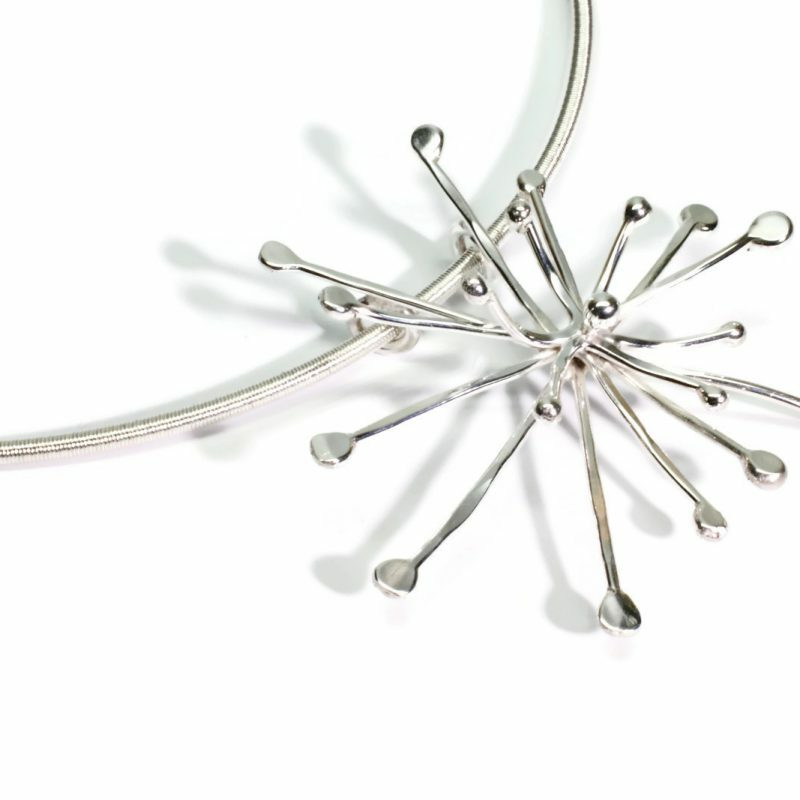 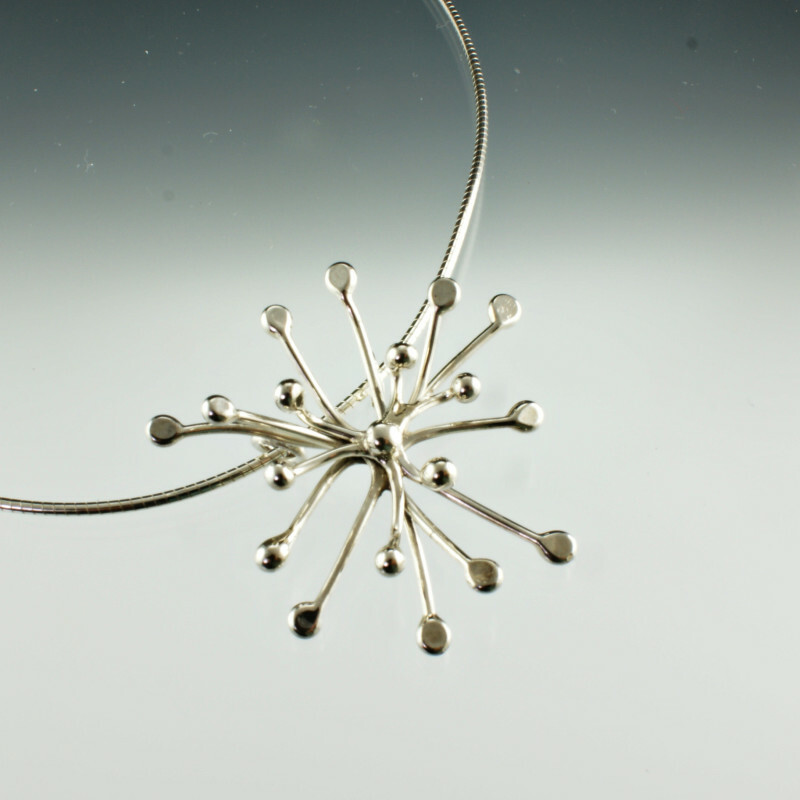 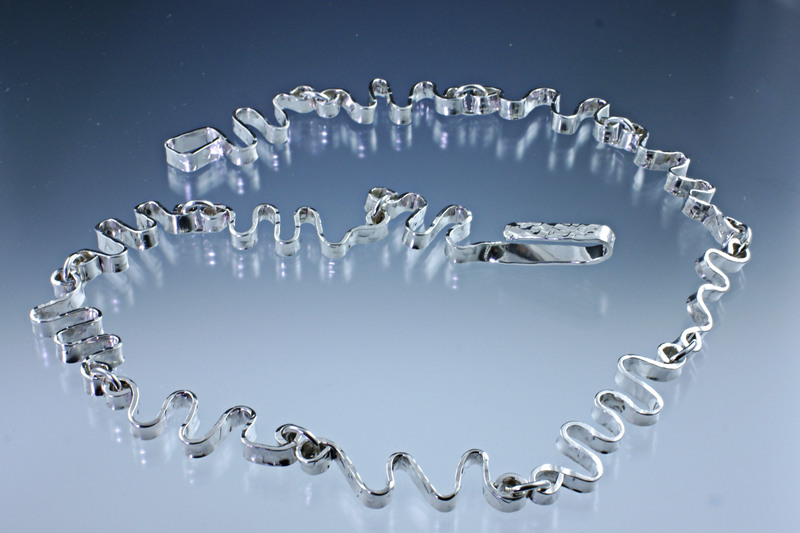 Each link is delightfully different, making every necklace a one-of-a-kind! 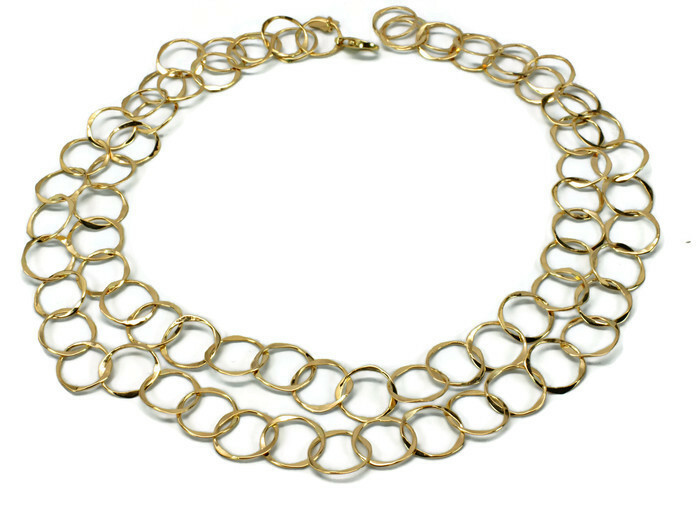 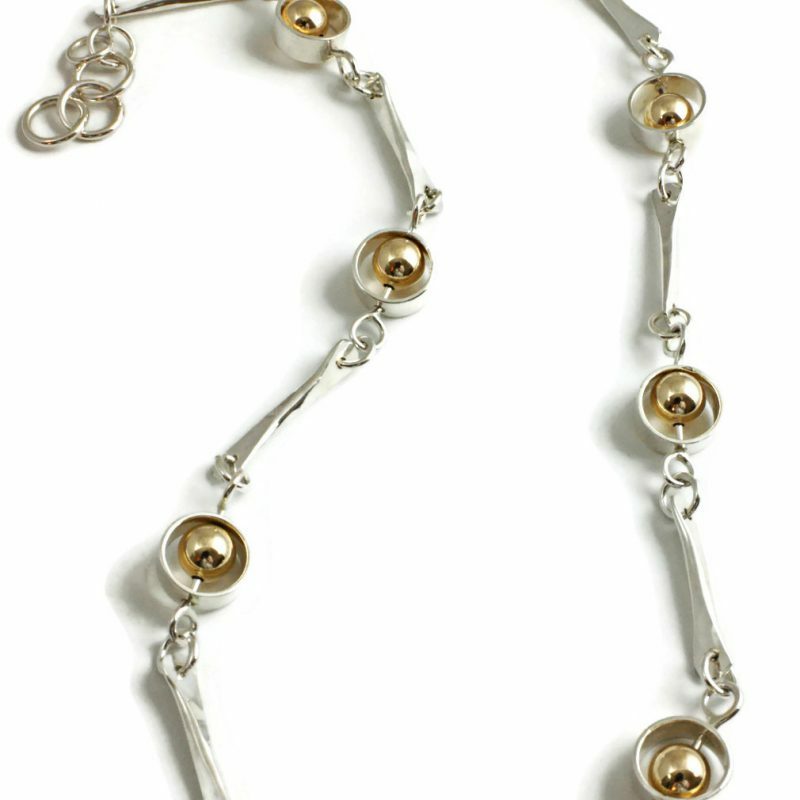 The hammered texture on the front and sides of this beautiful necklace reflect the light as it moves with the wearer.